The wild harvested organic seaweed in this conditioner is combined with aromatic lemon aromas. Rich in iodine, selenium and other essential trace minerals and proteins, it is a strong anti-oxidant removing free radicals and reducing cellular damage. Seaweed regenerates and promotes healthy hair, stimulating the hair shaft and is often helpful for dandruff. This conditioner is enhanced with a subtle and refreshing blend of aromatherapy oils. Recommended as a family conditioner - and is suitable for all hair types. 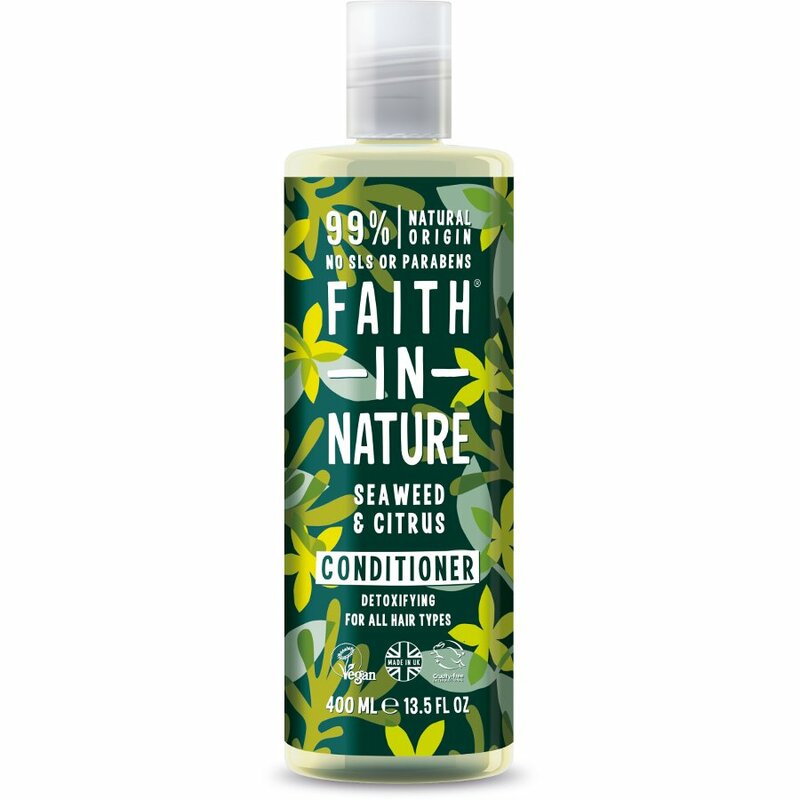 The Faith In Nature Seaweed & Citrus Conditioner - 400ml product ethics are indicated below. To learn more about these product ethics and to see related products, follow the links below. This is the part of the company that drives me around the bend. I do not need to report on each item individually each time I buy it and therefore I don't usually do so. I provide Faith In Nature shampoos and conditioners to my guests. 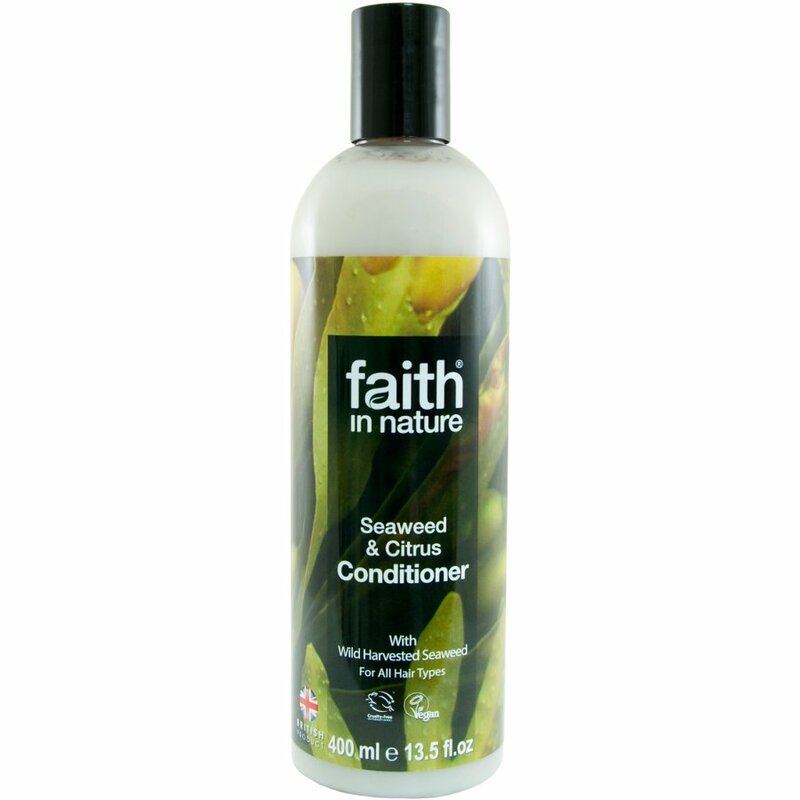 There are currently no questions to display about Faith In Nature Seaweed & Citrus Conditioner - 400ml. UK-based Faith in Nature sell award-winning natural beauty products, cosmetics and shampoos to offer the ethical consumer a cruelty-free and eco alternative. Faith in Nature ingredients are naturally sourced, free from artificial colours or perfumes, free from parabens and SLES and are never tested on animals. Faith in Nature began over 30 years ago with the mission to produce skincare and haircare products from naturally derived sources, free from additives which may damage the user or the environment. All Faith in Nature products are vegetarian and most are suitable for vegans.